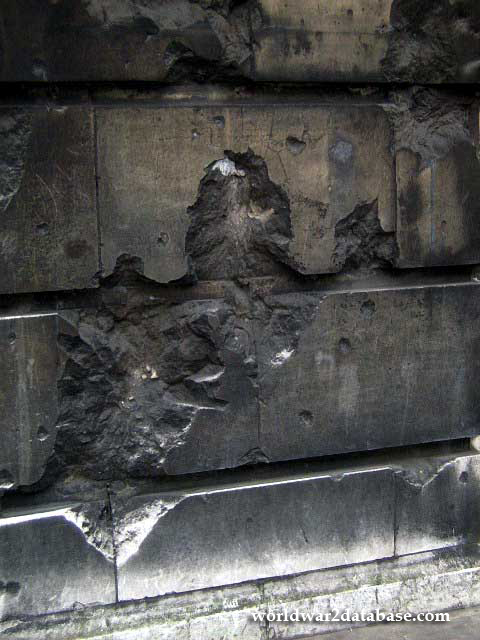 Close-up of bomb damage to the Aston Webb Facade at the Victoria and Albert Museum. Two high explosive bomb explosions in 1940 on Exhibition Road sent shrapnel in all directions. Chunks of the bomb are preserved in the British Geological Society's collection.